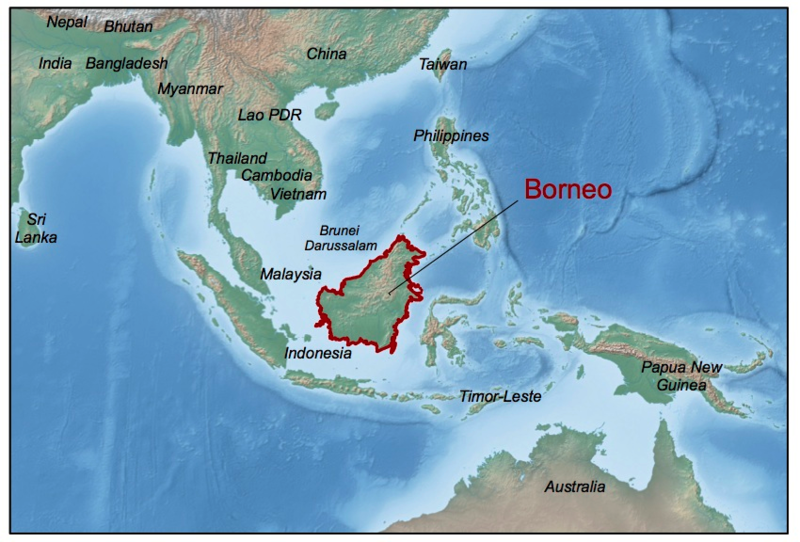 Borneo’s tropical ecosystems range from montane rainforests to lowland forests, peat swamps, mangroves and coral reefs. 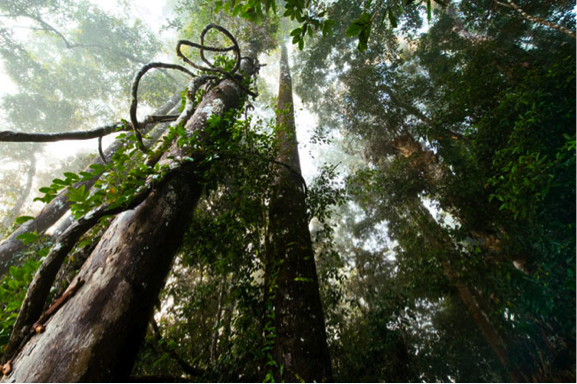 Despite being globally recognised for their high biodiversity, and as a source of livelihood for millions of people, the forests and peatlands of Borneo are threatened by intensive logging, oil palm and timber plantations, mining, agricultural development, and forest fires. 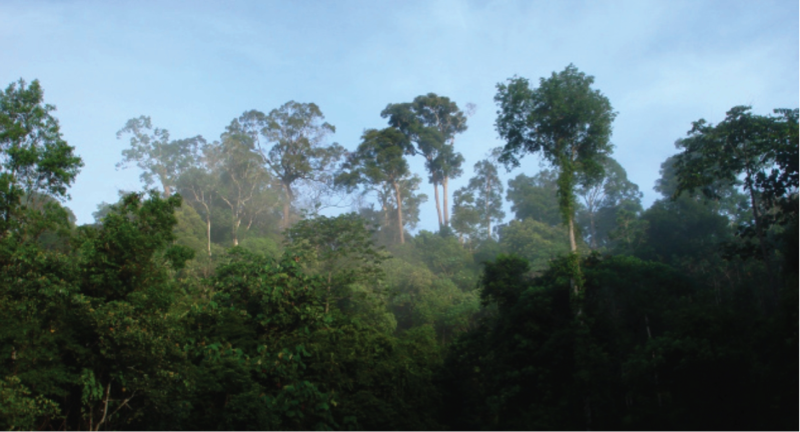 Planning for Borneo’s landscapes needs to incorporate diverse social and environmental issues. We have developed new approaches to spatial planning to enable simultaneous optimisation for social and environmental objectives, to understand their trade-offs and synergies, and account for the contribution of a diverse range of land uses and activities to meeting these objectives. We are working closely with Dr. Erik Meijaard, Dr. Marc Ancrenaz, and other partners to extend and apply these methods, to help meet objectives for biodiversity conservation, ecosystem services, and equitable development, and to help make planning and decision processes more transparent and sustainable. Our research has revealed how the three nations on the Island of Borneo could retain half the land as forest, provide adequate habitat for the orangutan and Bornean elephant, and achieve an opportunity cost saving of over $50 billion. Using East Kalimantan as a case study, we have prioritised degraded forest for restoration and determined which restoration actions should be implemented across multiple ecosystem types, and account for the social-ecological context. This project quantifies flows and benefits from water-related ecosystem services, and incorporates these services into spatial planning, together with objectives for development and biodiversity. These ‘water-related ecosystem services’ encompass the supply of freshwater (its quantity, quality and timing), prevention or mitigation of damage from water flows (e.g. flooding, erosion), and regulation of movement of sediments or nutrients. The study considers three spatial scales: Kelay-Segah watersheds, Berau river basin, and East Kalimantan. 3. Quantify the ‘value of information’ offered by more complex analyses, finer spatial scales and alternative data sources – from estimation of ecosystem services, through to resulting decisions. Initiatives to reduce the release of greenhouse gases are providing increasing incentives for conservation and sustainable land management. REDD+ is one of the key initiatives that is currently emerging in tropical regions (REDD+ stands for Reducing Emissions from Deforestation and Degradation, ‘plus’ conserving, sustaining or enhancing forest carbon stocks). The consequences for biodiversity and communities will depend on the tradeoffs and synergies among emissions reductions, other ecosystem services, and biodiversity conservation, and how the costs and benefits are shared across actors. Indonesia has large tracts of forests that are experiencing heavy exploitation and conversion to agricultural land uses. If planned and managed well, REDD+ and wider low-carbon development initiatives could provide important protections and incentives to help reverse this trend, reduce greenhouse gas emissions, and contribute to sustainable development. We are collaborating with DICE at the University of Kent, Indonesian Institute of Sciences (LIPI) and Flora and Fauna International, to identify the environmental, social and institutional factors that determine the effectiveness of an emerging form of protected area management – Community Forest Management (CFM) – on Kalimantan. Our methodological approach has entailed collating information on the underlying moderators and mechanisms that determine performance of a range of land uses to identify opportunities for future policy and program reform. This research is funded by the Woodspring Trust and the UK Darwin Initiative. Land use planning is a complex task, made even more so with competing objectives in multifunctional landscapes and multiple stakeholder groups. The Ex Mega Rice Project area in Central Kalimantan, Indonesia, is no exception. Largely overlaying substantial lowland tropical peat, past land use change has resulted in this region being a significant source of carbon emissions as the peat degrades. High poverty rates are common, and agricultural development is a key objective for the area, including significant expansion of oil palm. Further, the region is home to many threatened primates, including orangutan, and underrepresented ecosystem types such as lowland peat swamp forest. Our overarching goal for this project is to answer the following questions: Can a land use plan be developed that will simultaneously satisfy all the management objectives? If so, what will it look like? If not, what are the trade-offs? Our research, led by Elizabeth Law, has mapped the value of five ecosystem services (agriculture, oil palm, forestry, carbon, and biodiversity) across the study region. We define how different land use options affect each ecosystem service, and evaluate the performance of current management and existing land use plans to satisfy the targets for each service. We apply multi-objective optimisation to evaluate the appropriateness of stated planning targets, and use this model to suggest development strategies that may help achieve them. 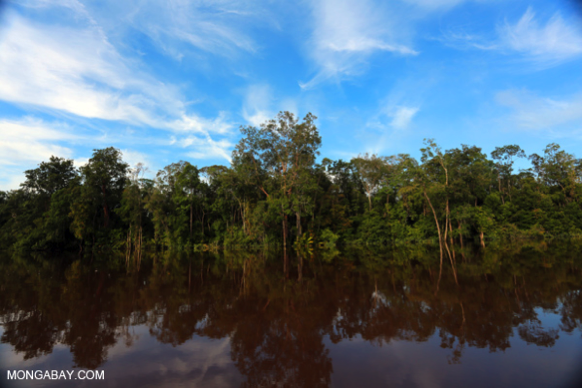 The Nature Conservancy are working with indigenous communities, governments and companies to develop a REDD+ program in Berau regency (22,000 km2). The program aims to reduce emissions from forest lands and catalyze sustainable development through a diverse array of strategies, including reduced-impact logging, sustainable livelihoods programs, land swaps (to re-locate planned developments), and establishing or managing protected areas. Our research aims to assess the effectiveness of these alternative strategies, and to prioritize alternative REDD interventions across the landscape – identifying what to do, and where, in order to achieve objectives for carbon, economic development and biodiversity. This enables us to incorporate several forms of ecological and social information, and to assess the trade-offs or dependencies among these objectives, to help in designing an effective and equitable REDD+ program. We developed methods to prioritise investments in alternative conservation strategies across East and North Kalimantan, accounting for the relative contributions that a range of different land uses can make to conservation, from production forest to well-managed protected areas. We employed data on the distribution of mammals (from a collaboration with Luigi Boitani and Carlo Rondinini at The University of Rome) and assigned species-specific conservation targets to achieve equitable protection by accounting for life history characteristics and home range sizes. We found that traditional planning approaches (i.e. assuming each area either protects biodiversity completely, or not at all) would have overestimated the cost of achieving the conservation targets by an order of magnitude. Our approach revealed not only where to invest, but which strategies to invest in, in order to effectively and efficiently conserve mammal biodiversity in East Kalimantan. Wells, J.A., Meijaard, E., Abram, N.K. & Wich, S.A. 2013. Forests, Floods, People and Wildlife on Borneo. United Nations Environment Program, Nairobi, Kenya.